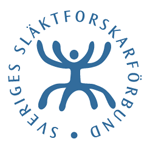 The name you clicked on the Ancestry website originates from the dvd Swedish death index 1860-2016 produced by The Federation of Swedish Genealogical Societies. Swedish death index 1860-2016 is available for purchase in the online bookstore www.rotterbokhandeln.se. Buy it today and find out more about the person you are looking for. In total, the database contains 11.3 million records. Newly registered data for the period 1860-1900 relating to all parts of the country to an extent covering approximately 2/3 of the aggregate basis. The database is at more than 99% complete with name, date of birth, death date, marital status with date, convocation and address. Birth Assembly occurs in approximately 97% of all records and girl names in most of all records before 1970. Submitted corrections since 2010 are displayed and are searchable. The database is under completion and processing, there are post doubles, non searchable birth places, etc., as work is still in progress for final version 7 in the end of 2018. Several improvements have been introduced regarding presentation and search opportunities, for example, you can now search for occupations and comments, and the address increase has been greatly improved. System requirements are Windows XP or later, or Mac OS 10.7 or later. 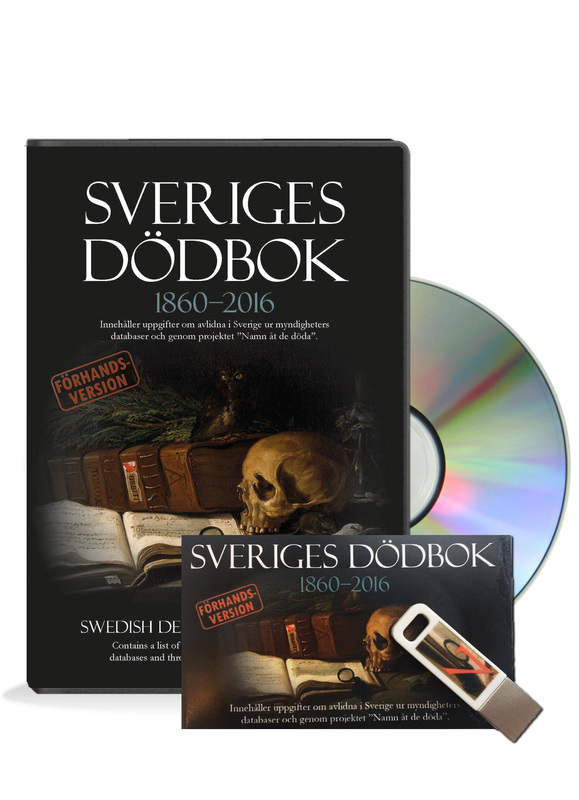 Sweden's death book 1860-2016 is available for both usb and dvd and is suitable for both Windows and Mac.